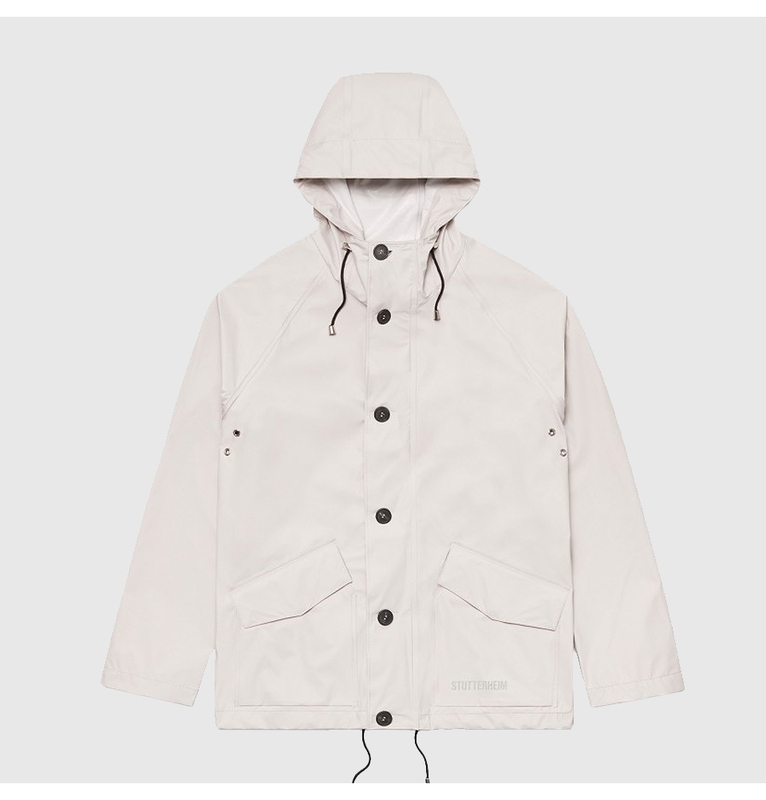 Stutterheim Stenhamra is a travel friendly raincoat, handmade in a new lightweight material. 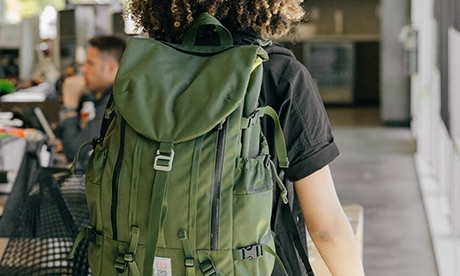 The unisex Stenhamra is a hip-lengt style with a regular, straight fit and is made with strong attention to detail, perfect to travel in style. 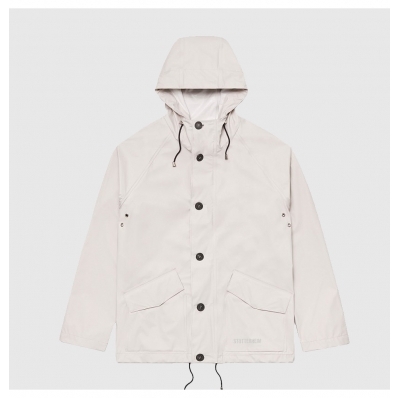 The Stutterheim Stenhamra Light Sand, travel friendly, light weight raincoat. 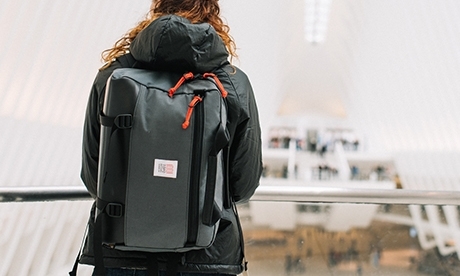 The Stenhamra is a travel friendly, unisex style handmade rain jacket in a light weight material. Perfect to travel in style. 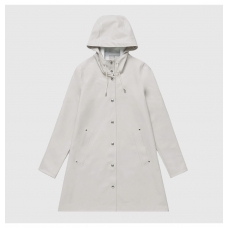 The coat is made with strong attention to detail like raglan sleeves, a front zipper, cotton strings on the hood and adjustable snap buttons at the sleeve ends.The lighter material and a ventilation panel on the back makes it perfectly suited to the warmer months of the year. The Stutterheim Stenhamra coat has a reflective logo at front bottom hem. 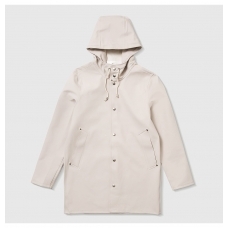 The finest craftsmanship is used to create this beautiful raincoat, here in a Light Sand version. Each coat is individually quality-controlled by Stutterheims skilled seamstresses. Zipper and snap button closure at front. Two front pockets with flaps and snap buttons.